Brigitte Dréno is Professor at the Nantes University Hospital and Vice doyen for research at the Faculty of Medicine. She is also Head of the Department of Dermatology and Skin Cancer and of the Unit of Cell and Gene Therapy at Nantes University Hospital. She qualified in medicine in 1980 and gained a PhD in 1988. Professor Dréno’s interests lie in understanding genetic, biochemical and immunological abnormalities associated with skin cancers and she is an international expert in the field of acne, being also a member of the international acne board “Global Alliance to Improve Outcomes in Acne”. She has authored more than 300 articles in peer-reviewed international journals. Pr Dréno is a member of many national and international professional dermatological societies where she also held several important appointments (e.g. European Academy of Dermato-Venereology, International Society for Cutaneous Lymphomas, European Society for Dermatological Research). From 2004 to 2006 she was president of the French Society of Dermatology and she was a founding member of the French Society for Dermatological Research and of the French Society for Cell and Gene Therapy. She received numerous honours and distinctions including awards from the International League of Dermatological Societies and from the International Society for Cutaneous Lymphomas in 2013 and 2011, respectively. Pr Dréno was also raised to the level of Chevalier of the National Order of the Legion of honor in 2011. Jerry K. L. Tan MD FRCPC is an adjunct professor at the University of Western Ontario, the principal investigator of Windsor Clinical Research Inc., and in private practice in Windsor, Ontario, Canada. His MD was obtained at Queen’s University; internal medicine residency at the University of Toronto; and dermatology residency at the Universities of British Columbia and Michigan. His research focus is on acne, rosacea, clinical assessment methodology, patient-reported outcomes and medical decision-making. He was awarded a Canadian Dermatology Foundation grant in 2009 for decision-making and on development of decision aids and was the lead investigator for the Canadian Acne Epidemiology Project. He is the chair of the steering committee of the Canadian Acne Clinical Practice Guidelines project. He has served on the organizing committee of the Canadian Institutes of Health Research workshop on skin disease research priorities and is a therapeutic advisor on evidence-based review panels in Canada and the United States. He serves on the editorial board of various dermatology journals and is the chair of scholarship and co-chair of free communications committees, respectively, of the World Congress of Dermatology 2015. He has published more than 70 scientific articles in peer reviewed journals and has presented research findings at national and international meetings. New in the physiopathology of acne? Dae Hun SUH is Professor in the Department of Dermatology, Seoul National University College of Medicine, South Korea. He is also the Director of Acne and Rosacea Research Laboratory, Seoul National University Hospital. He studied medicine (MD, 1987) and received PhD (1997) in Seoul National University. He received residency training in the Department of Dermatology, Seoul National University Hospital and has been board certified in dermatology since 1991. He had worked as a research fellow in USA for 2 years, where he did basic research related to sebaceous gland and acne. 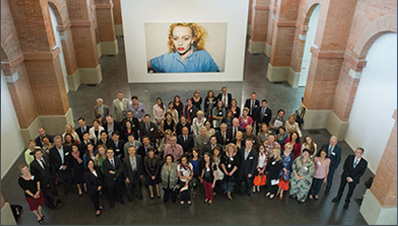 Professor SUH is a member of Global Alliance to Improve Outcomes of Acne since 2012. 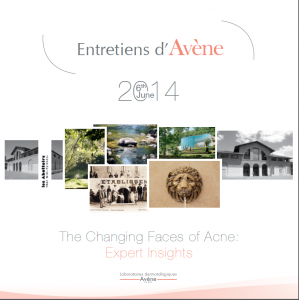 In October 2012, he organized and held Asia-Pacific Acne Symposium successfully. As the Korean representative of Asian Acne Board from 2005, he has have been involved in several international projects. He is also member of American Acne and Rosacea Society and the Society for Investigative Dermatology. Professor SUH is now the President of the Korean Society for Acne Research. He conducted many clinical trials and epidemiologic studies. He is an editorial board member and regular reviewer for many dermatological and biomedical journals. Professor SUH has been dedicated to the clinical and laboratory researches about acne and sebaceous gland–related disorders. He has published many international articles. He has been also interested in light-based and laser therapy in acne. Other areas of interest include the relationship of diet and acne. Dr Raj Kubba is MB, BS (Delhi University), MRCP (UK), FRCP (Canada), FRCP (Edinburgh) and he is a Diplomate of the American Board of Dermatology. He is also an adjunct Professor in the Department of Dermatology, at Boston University School of Medicine and he is the consultant of the Delhi Dermatology Group, at Kubba Clinic of which he is the owner, in New Delhi. During his carrier, he has various affiliations in different establishments as Addenbrooke’s Hospital at Cambridge, in England or the Queen’s University, at Kingston, in Ontario in Canada. Prof. Kubba has published numerous scientific articles in national and international journals about subjects like: phototherapy, contact dermatitis, Leishmaniasis, acne or Vitiligo. He is also the author of five book chapters. He is member of several organizations like the Committee of Global Alliance for Acne, the American Dermatological Association, the British Association of Dermatologists and European Academy of Dermato-Venereology. Dr. Marcia Ramos-e-Silva is Associate Professor and Head of Dermatology, at the Federal University of Rio de Janeiro. She is vice-President for South America, at the International Academy of Cosmetic Dermatology (IACD). She was the President of the 67th Congress of the Brazilian Society of Dermatology in 2012 celebrating the 100th anniversary of the Society. She is also a member of the International League of Dermatology Societies (ILDS), of the Program Committee of the 2015 World Congress of Dermatology, and she will be President of the 10th World Congress of the IACD starting in July 2014. She graduated from Medical School at the Federal University of Rio de Janeiro (UFRJ). Then, she was a resident in dermatology at the State Institute of Medical Assistance of Rio de Janeiro. She obtained board certification as a dermatologist in 1981 and went through the MS and PhD Program at UFRJ, before obtaining a PhD at the University of Rio (UNIRIO) and following a Post-doctorate at Tulane University, New Orleans, United States. Prof. Ramos-e-Silva has authored numerous scientific publications, 6 books and 43 book chapters. She is frequently invited as a speaker to conferences all over the world. She is an Associate Editor of several journals, e.g. 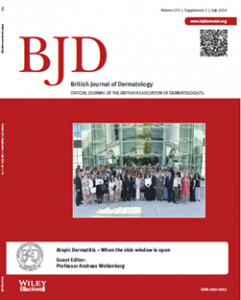 SkinMed and the Journal of Cosmetic Dermatology. During her carrier, Dr. Ramos-e-Silva was a member of various Societies and Academies of Dermatology and continues to be requested in other organizations of this type: Maltese Association of Dermatology and Venereology – Honorary Member (since 2003); American Dermatological Association – Honorary Member (since 2005) and Canadian Dermatological Association – Honorary Member (since 2008). She has received very important honors: the Maria Duran Medal, International Society of Dermatology for Leadership in Dermatology in 2005; the Women’s Dermatologic Society International Pioneer Award for Distinguished Women in Dermatology in 2007; the 51st Jabuti Prize in 2009, and 1st place for her book “Fundamentos de Dermatologia” – in the category Health and Natural Sciences (most important literature prize in Brazil). Prof. Christos C. Zouboulis studied Medicine and Political Sciences at the National and Capodistria University of Athens, Greece. He was specialized in Dermatology and Venereology, Allergology, Andrology and Proctology at the University Medical Center of the Freie Universität Berlin, Germany, where he also received his Doctorate and Habilitation grades and was named Professor of Dermatology and Venereology in 2000. Since 2005, he is Director of the Departments of Dermatology, Venereology, Allergology and Immunology at Dessau Medical Center (Dessau, Germany). Prof. Zouboulis has performed fundamental research on the sebaceous gland and acne, Dermato-Endocrinology and molecular ageing, skin stem cells, hidradenitis suppurativa/acne inversa as well as on Adamantiades-Behçet’ disease and cryosurgery. He was awarded several distinctions, among them the Oskar Gans Prize, the EADV Research Fellowship, the Felix Wankel Animal Protection Research Prize, the Paul Gerson Unna Prize and the Springer Prize for Dermatology and research grants on ageing, stem cells and hidradenitis suppurativa/acne inversa by the EU and the BMBF. Prof. Zouboulis has published over 500 scientific articles, 24 books, 100 book chapters, and 6 patents and he has given over 500 invited lectures. He is associate editor of Dermato-Endocrinology, co-editor of Rejuvenation Research, assistant editor of Dermatology, former associate editor of the Journal of Investigative Dermatology and active member of the editorial board and guest editor of several international scientific journals. Prof. Zouboulis is president of the European Hidradenitis Suppurativa Foundation and president of the European Society of Preventive, Regenerative and Anti-Aging Medicine (ESAAM). He is also chair of the Honours and Awards Committee of the European Academy of Dermatology and Venereology (EADV), chair of the EADV task force for acne and rosacea, chair of the F1000 Acne and Rosacea section, Chair of the Guideline Committees for Hidradenitis suppurativa / Acne inversa of the German Dermatological Society (DDG) and the European Dermatology Forum (EDF), founder of the Working Group Dermato-Endocrinology of the German Society of Dermatological Research and the Dermato-Endocrinology Circle of the German Dermatological Society, member of the Executive Committee and chair of the Epidemiology section of the International Society for Behçet’s disease, president of the Charity „Deutsches Register Morbus Adamantiades-Behçet e.V.“, and past president of the Hidradenitis Suppurativa Foundation Inc. He is also an honorary member of several civil and scientific societies and Dr. h.c. of the National and Capodistria University of Athens. Is the hormonal treatment still an option in acne today? Prof. Vincenzo Bettoli is a Medical Director (Medico Dirigente) 1st level at Azienda Ospedaliero-Universitaria di Ferrara, in the Department of Clinical and Experimental Medicine, section of Dermatology and he is an assistant professor at the University of Ferrara. His main fields of current research interests are Acne vulgaris and related disorders, post-acneic scars, Hidradenitis Suppirativa and Acne Inversa. He graduated in Medicine and Surgery with honors in 1981, at the University of Bologna. Then, he was qualified in Dermatology and Venereology at the same University. Prof. Bettoli has authored numerous scientific publications in national and international journals. He is also the author of books and book chapters and he is an arbitrator for several international journals about acne, Hidradenitis suppuratia and Acne Inversa. He is frequently invited as a speaker, co-chair and chair in national and international congresses. He is member of several organizations like the Steering committee of Italian Society of Hospital Dermatologist (ADOI), the Steering Committee of Global Alliance on Outcomes in Acne and the European Foundation on Hidradenitis Suppuravita and Acne Inversa. Elena Araviiskaia is a Dermato-venereologist and Professor in the Department of Dermatology and Venereology of First Pavlov State Medical University of Saint-Petersburg, Russia. She is the Head of the Postgraduate Educational Course in Cosmetic Dermatology, and a consultant at the Saint-Petersburg Institute of Beauty. Professor Araviiskaia studied medicine at First Pavlov Medical Institute of Saint-Petersburg and undertook her post-graduate training in dermatology in its Department of Dermatology and Venereal Diseases. In 1994, she was awarded a Dermatology Fellowship at Saint John’s Dermatology Hospital in London under the guidance of Professors Niel Smith and Robin Eady. Professor Araviiskaia is a member of many national and international societies, including the Board of the V.M. Tarnovsky Saint-Petersburg Society of Dermato-venerologists, European Academy of Dermatology and Venereology, “Global Alliance Acne Treatment”, “Rosacea Advisory Board”. She is a member of the Editorial Board of “Vestnik Dermatologiii Venerologii” (Russia), "Dermatologia Clinichna" (Poland). Elena Araviiskaia has authored more than 150 papers on skin diseases and venereology, relating in particular to acne, facial dermatoses, cosmetic dermatology, dermato-pathology, and psycho-dermatology. Her PhD thesis was devoted to poikilodermic mycosis fungoides. She is author and editor of a textbook of Dermato-cosmetology. Additional publications include textbooks on acne, cosmeceuticals and urticaria, as well as chapters in textbooks on hair diseases, dermato-venereology for medical students, cosmetology handbook and others. Elena Araviiskaia is an author of the Russian National Guidelines on acne, rosacea and urticaria. Professor Araviiskaia is an active media presence, being a frequent participant in TV and radio programs devoted to acne, skin ageing, rosacea and general health. Dr. Sanchez-Viera, MD received his medical training at the University Complutense of Madrid, Spain, where he finished his residency in Dermatology and Dermatologic Surgery, in 1992. After a staying in USA, he wasin charge of the Dermatologic Surgery Section at the Department of Dermatology, Hospital Universitario “Gregorio Marañon” in Madrid and Associated Professor of Dermatology at the Universidad Complutense of Madrid. Currently he isDirector and Owner of the Instituto de Dermatologia Integral(IDEI), focused on Skin Cancer, Skin Aging, Dermatologic and Cosmetic Surgery and Lasers. Dr. Sánchez Viera has published a number of papers and book chapters related to dermatologic surgery, skin cancer and lasers. He is a member of the Editorial Board of dermatologic journals, including Drugs in Dermatology (USA), Surgical and Cosmetic Dermatology (Brasil), DermatologiaCosmeticaMedicay Quirurgica (Mexico) and Co-chairman of the group of laser in the IberoamericanCollege of dermatology (CILAD) He organizes and actively participates in meetings and courses around the world. He collaborates with the Skin Cancer Foundation as a member of its International Advisory Council,board member of the European Society of Cosmetic and Aesthetic Dermatology, and others. Le Dr Olivier Revol est chef du Service de Neuropsychiatrie de l’Enfant à l’Hôpital neurologique au Centre Hospitalier Universitaire de Lyon et enseigne cette discipline à l’Université Lyon 1. Il est également le responsable du Centre de Référence des Troubles d’Apprentissage dans cet établissement. Pédiatre de formation, il passe sa thèse de médecine sur les aspects éthiques, juridiques et psychologiques des procréations médicalement assistées. Après avoir été interne des Hôpitaux psychiatriques de Lyon puis attaché chef de clinique de la Faculté de Médecine Lyon-Sud, le Dr Revol se spécialise en psychiatrie de l’enfant et de l’adolescent. En 2005, il devient chef du Service de Neuropsychiatrie de l’Enfant à Lyon. Les centres d’intérêts cliniques du Dr Revol sont les troubles du comportement chez les enfants et adolescents ainsi que leur prise en charge. Il a notamment écrit plusieurs ouvrages à destination du grand public où il trouve les mots justes pour aider des parents désœuvrés face à des situations difficiles. Ces travaux portent également sur la précocité intellectuelle, les difficultés scolaires et la dépression chez ces jeunes patients. Le Dr Revol est l’auteur de nombreuses publications dans la presse spécialisée et il est invité à présenter ces travaux dans de nombreux congrès nationaux et internationaux. En 2006, il a reçu les Palmes Académiques, distinction honorant un parcours académique d’exception.